World Summit Youth Award (WSYA) is a unique global contest which brings together young developers and digital entrepreneurs, creative designers, producers, application developers, journalists, and writers - under 30 years of age - who use internet and mobile technology to put the UN Millennium Development Goals (MDGs) into action and make a difference. WSYA was established in 2005, and has led its international competition honouring excellence in the use of Internet for social empowerment during six editions. The WSYA selects and promotes best practice in e-Content. The contest demonstrates young people's potential to create outstanding digital contents and serves as a platform for people from all UN member states to work together in the efforts to reach the Millennium Development Goals (MDGs). The projects and applications can be submitted in the 6 categories which are directly tied to the UN Sustainable Development Goal (SDGs). Have you developed a social project with Internet or Mobile Technology? You want to make a difference in the world, your country or community? You are a committed social entrepreneur and are eager to give your project a new drive? Only Launched Projects are eligible for this contest, no ideas. The online or mobile project must be initiated and executed by young people under age of 30 from any of the UN and UNESCO member state. Products / projects or applications which have been submitted in the WSYA in previous years cannot be submitted again. For a project which has been already submitted before, the submitters have to document significant alterations and / or improvements and / or additions. The winning project can not be submitted twice. 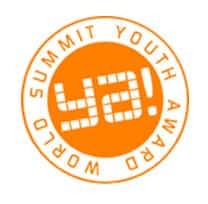 The World Summit Youth Award honours 3 winners (persons or team) and up to 3 runners-up per category whose product, project or application is chosen by the expert jury as the best in digital content in one of the categories. Become a part of the global WSYA network- The winners and runners up become part of the global WSYA Netwok. Present Project on the World Stage: At the winners' event all WSYA winners have the opportunity to present their projects on a world stage, exchange ideas with their peers and network with renowned experts in the field of ICT for development. WYSA promotes the winners with network of ICT experts, business leaders, multimedia producers, academician, Governmental organisations, young entrepreneurs and youth leaders. The 3-days event featured keynote speeches, workshops and engaging panel discussions. The project is nominated by a Youth award Ambassador or by a former Winner. If your project is nominated, you are automatically shortlisted and in round 2. What does the participant need to do to submit the Project? How sustainable is your project over the long term? Outline potential challenges, strategies and development. What are your project goals in the framework of the UN Millennium Development Goals? What is the youth component in your project (project management, target group, partners, etc)? The project itself can be in any language. The Application has to be in English as the Jury has to understand what your project is about to be able to evaluate it properly. An international jury -composed of young experts, social activists, successful entrepreneurs and representatives of the private sector and different international institutions- will evaluate the projects and select 18 winners (three winners per category) to be awarded at the winners' event and which will join the global WSYA network. Submitted projects will be evaluated in two rounds by an online jury of young experts. If candidate's project is nominated by a Youth award Ambassador or by a former winner, it will be automatically shortlisted to round 2. In first round shortlisting will be done of 10 participants per category. In the second round, two or three projects will be selected per category as the final winners of WSYA. Content: Quality, comprehensiveness and impact of content and relevance for MDGs. ICNM – International Center for New Media Leopoldskronstr.